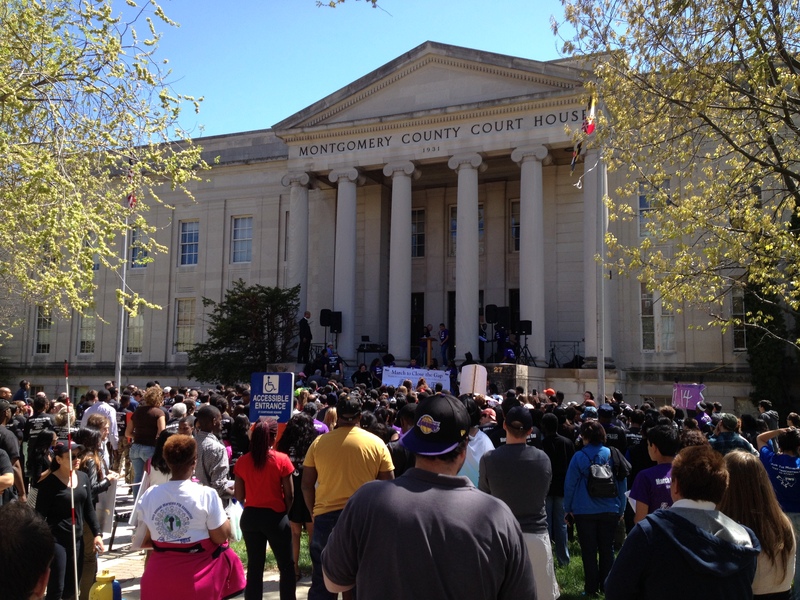 In a groundbreaking and historic move, on Sunday, April 27, members of MCPS’s Minority Scholars Program will march from MCPS headquarters to the steps of the Montgomery County District Court building in Rockville to raise awareness about the academic achievement gap among Black and Hispanic students that plagues our nation’s school systems. MSP members, along with students, teachers, parents, community members and stakeholders from all over Montgomery County will take to the streets of Rockville on Sunday, April 27, from 1 to 3 p.m., to “March to Close the Gap.” The march will originate at the Carver Educational Services Center at 850 Hungerford Drive and proceed south along Rockville Pike until Downtown Rockville. The march will culminate at 27 Courthouse Square. Among invited guests are Dr. Joshua Starr, Superintendent of Montgomery County Public Schools; Mr. Isiah Leggett, Montgomery County Executive; and various County Council members. The culminating rally will feature Student leaders addressing the achievement gap at their schools and various student artistic performances. The Minority Scholars Program was launched eight years ago as a student-driven initiative whose primary objective is to bring an end to the academic achievement gap among minority students in Montgomery County. MSP has chapters at 10 high schools and membership continues to expand to additional schools. It’s exciting that student leaders in MCPS are taking charge and pushing for a more equitable school system that can prepare all students, regardless of race or background, for success. For more information, visit the Minority Scholars Program’s website.